So I run a lot and part of that involves running in races. Sometimes I do well in those races and they give me stuff. At Green Bay I finished 6th, and they give money to the top five, typical. I have finished first out of the money several times. That's the kind of runner I am. Not good enough to walk away with the check but good enough to get a huge heavy medal. It is by far the biggest I have. 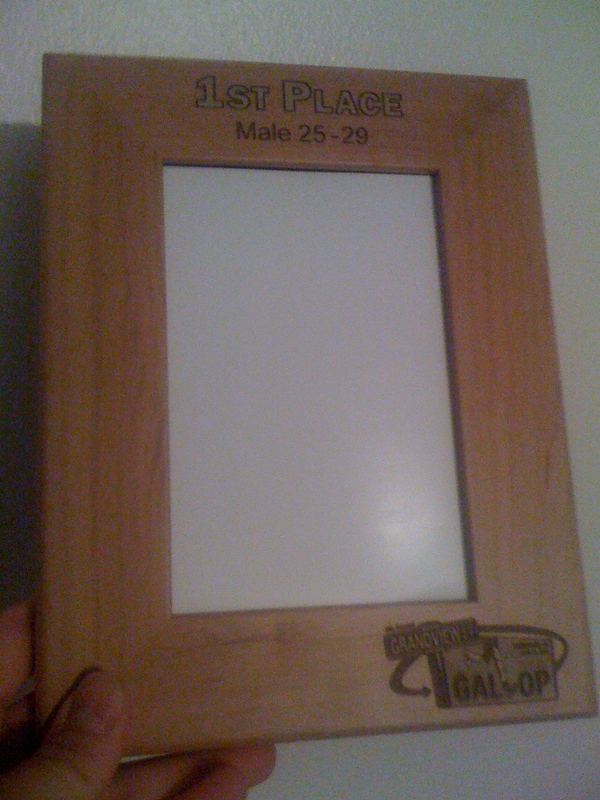 This past Saturday the race I ran gave me a picture frame. That's kind of a unique item. I just have to find a picture to put in it now. At least it's useful. Often prizes have no practical purpose, like a medal. What are the best prizes? Money, gift certificates to some place I will actually use (like a running shoe store or grocery store), and any sort of consumable. Rumor has it the Napa Valley Marathon gives the winners his and her weight in wine. While you may hear about $100,000 prizes for the winner of races like the Boston Marathon or the New York City Marathon, for guys like me, dreaming of being in the top 10 is almost a stretch let alone breaking the tape at something that big. 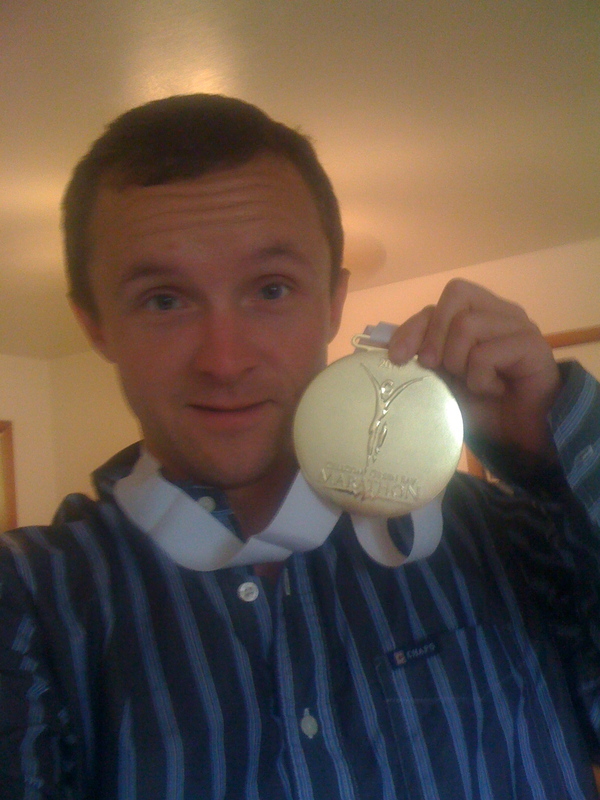 Until that point, I'll probably keep getting my race bling.